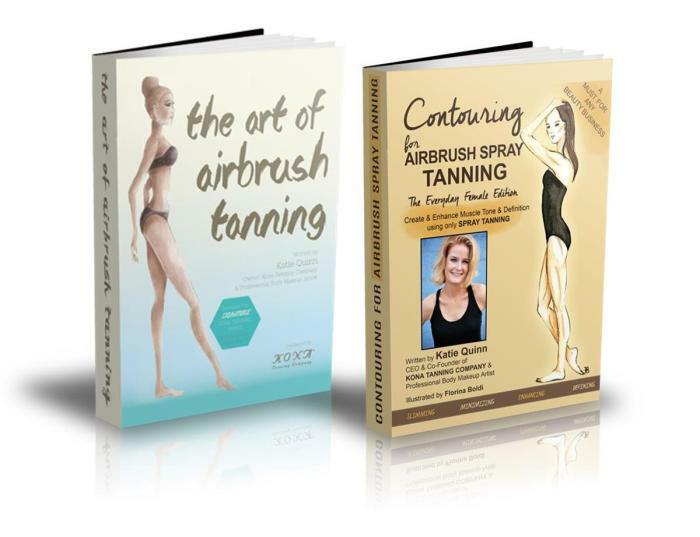 Help us spread spray tan artistry education, and get rewarded for it, too! 1. Create your affiliate account by clicking HERE. 2. Post the affiliate link that we give you to your social media accounts, website, blog, emails, and newsletters. 3. Every time someone clicks on your affiliate link and makes a purchase, you will receive a commission of that sale. How much commission do I get? You can earn 30% commission on Katie Quinn’s eBook sales, simply by referring people! We pay 30% commission on every eBook sale that comes from your links. This is a great way for YOU to make money sharing products you LOVE with others! Does a purchase have to be made immediately after clicking my links? A purchase does not have to be made right away. Our system keeps cookies alive, so when people come back to our website to make their purchase later, you will still receive a commission. How will you pay me? We issue affiliate payments monthly via PayPal. If you do not have an account with PayPal, please open one before receiving your first payment. How can I generate sales through my links? Great products that you’re passionate about make it easy to generate interest! Once people you know see how much you love your Kona Tanning products, they’ll want to learn more by clicking through your affiliate links. We have many recommendations to help with this, so please don’t hesitate to ask! Do I need to purchase and stock products? Absolutely not! We handle all orders, processing, stocking, customer service, and shipping! All you have to do is focus on getting people to click your affiliate links! It’s quick and easy! Register HERE. As soon as you receive your affiliate link by email, you can begin posting it to your website, emails, banners, and social media.